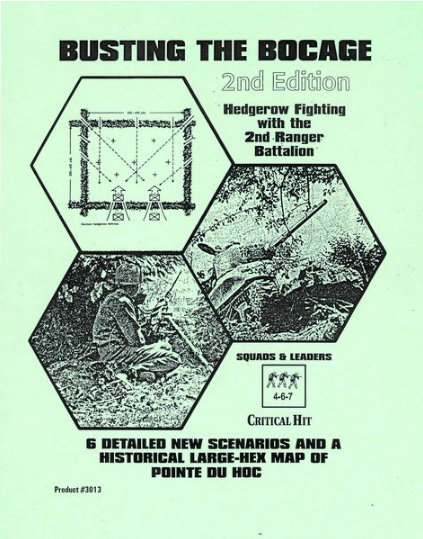 Busting the Bocage: Hedgerow Fighting with the 2nd Ranger Battalion. This scenario pack depicts fighting involving the US 2nd Ranger Battalion on and shortly after D-Day, from June 6th to June 8th 1944. The updated version of this module is included in Critical Hit magazine #7.3.